Dr. Woodward was very thorough and took the time listen to my concerns and answer any questions I had, sincerely &honestly. 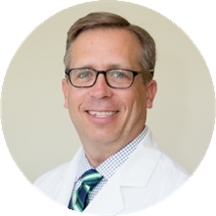 Stephen Woodworth is a concerned and attentive cardiologist serving the community of Shelton, CT. Dr. Woodworth obtained his medical degree from Dartmouth College. He also completed his fellowship in cardiology at New York Medical College, and residency in internal medicine at Boston University. Dr. Woodworth is a part of Cardiac Specialists. He is board certified in cardiovascular disease by the American Board of Internal Medicine. Dr. Woodworth is a member of the American College of Cardiology. Because he is bilingual in English and Spanish, patients from a variety of backgrounds enjoy having him as their physician. Dr. Woodworth is dedicated to helping patients receive the treatment they need so they can enjoy a positive and fulfilling lifestyle. He is uncompromising in his dedication to the well-being of his patients. He is committed to giving the best care and establishing long-lasting relationships with them.